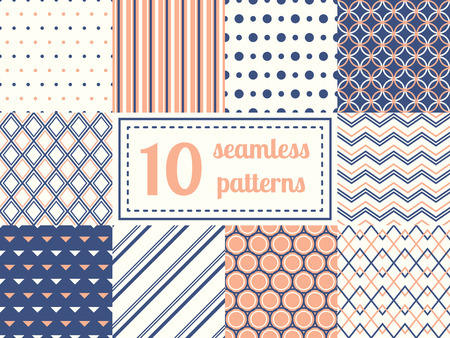 Set of ten seamless patterns in retro soft colors. Classic backgrounds. Vector illustration.